Established in 1996. In Tustin, Ca. We have grown to become the leader in careful moves for Orange, Los Angeles, San Bernardino and San Diego Counties. Big Boys Moving is the affordable alternative for small and large moves. 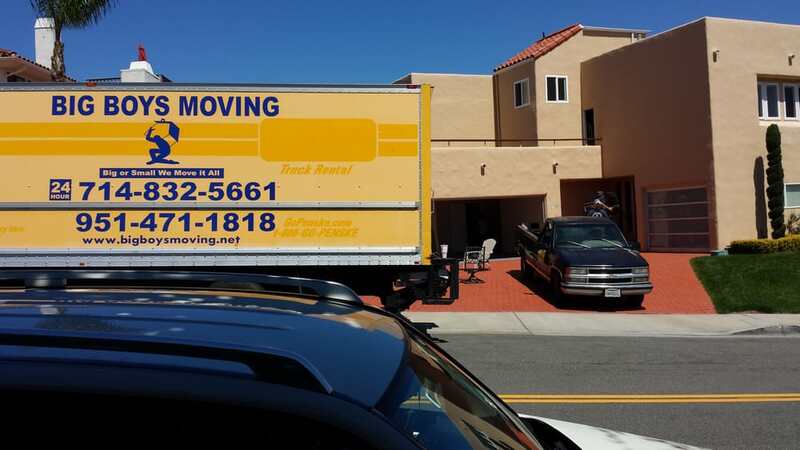 Big Boys Moving offers services for homes, apartments, condos, storages, pod and business offices of all size. We are exclusive movers for several companies in our service area. We have even moved celebrities. Big Boys Moving operates it's own trucks with inside padding. Customers receive blanket wrap and shrink wrap if needed for small and large loads. 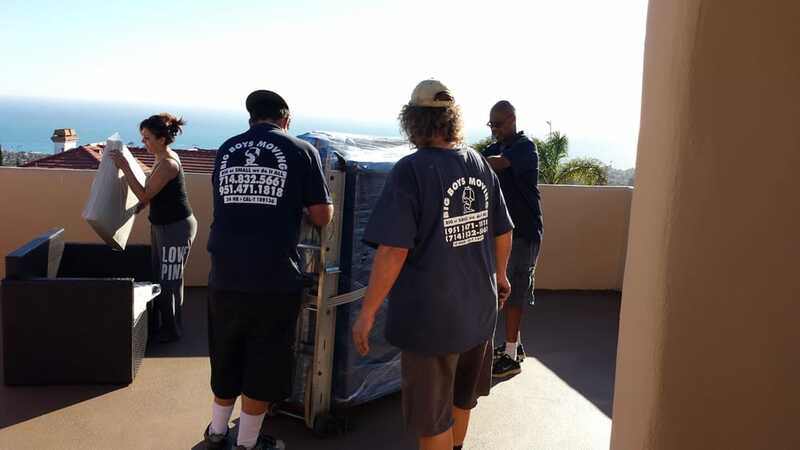 Big Boys Moving is licensed and bonded with the Public Utilities Commission- License #189136. We have a Certificate of Safety from the Safety Association R900403 and we are fully insured. 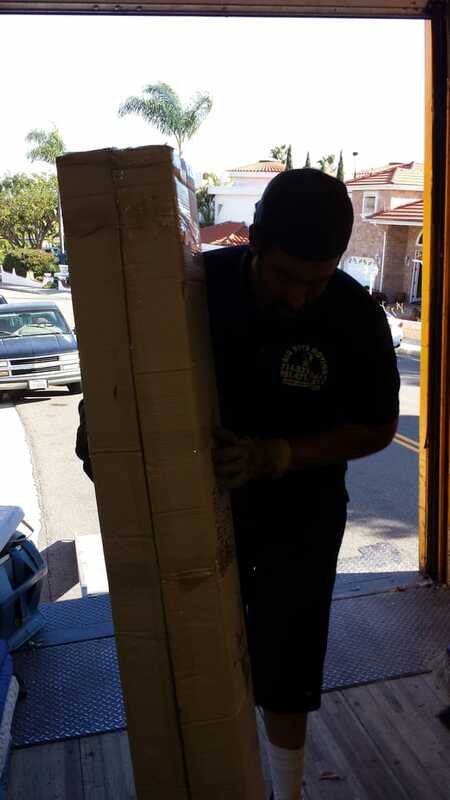 Big Boys Moving will do anything we can to make your move simple and easy for you or your company. We will provide any delivery option that will meet your specific needs ...we are available 24 hours a day — seven days a week . FIVE STAR SERVICE!!! Big Boys Moving Company came through for me after other moving companies have disappointed. I called several moving companies and heard several excuses. I called BBM on Saturday after being stood up by another company and they were ready the next morning . I called BBM and immediately was met with "No Problem We can move anything anytime anywhere." They are based in Lake Elsinore but traveled from Elsinore to Hawaiian Gardens and then moved my items to Eastvale. The person who schedules the moves Tim has excellent customer service quoted me a great price per hour. He send three guys and they did the job professionally and efficiently. They kept track of the time and tried to keep it to the estimated time. They were fast!!! They were done in four hours flat. Everything was perfectly packed and loaded in the truck. When we got there nothing was damaged and every item was in perfect condition. They put all the items and furniture where I wanted. As soon as the movers were done Tim called me back to get feedback on the move. Now that's customer service !!!! !Thanks Tim and the movers! !If you're looking for great movers that work hard for a great price please call BBM you will not be disappointed!!!! 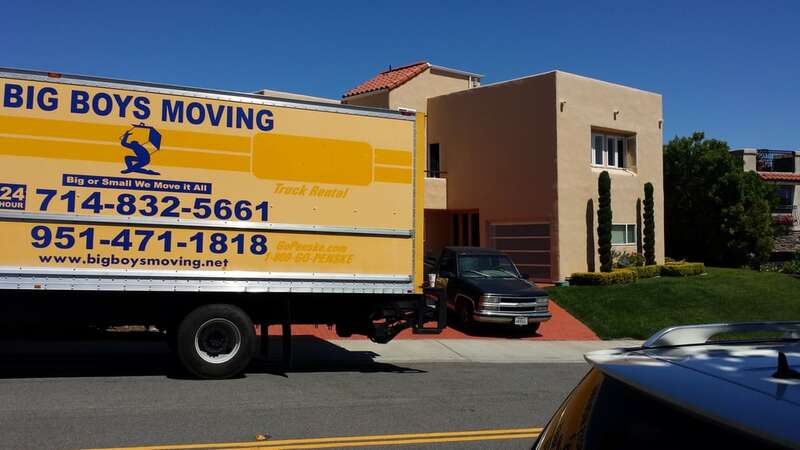 I have used this company twice in the last year for local moves in the Canyon Lake and in Lake Elsinore areas and I am very happy with their services and they take extra care. I hired Big Boys last month to unload my POD from my move. They were priced really well, and there was no hidden costs. My movers were Mike and Fred who arrived early and was eager to get started. They were very professional and had a great relationship, as I could see they worked really well together which carried over to how well they treated me and my property. They were very efficient and careful with everything. I would use Big Boys again if I need to move anything, and I definitely recommend them. 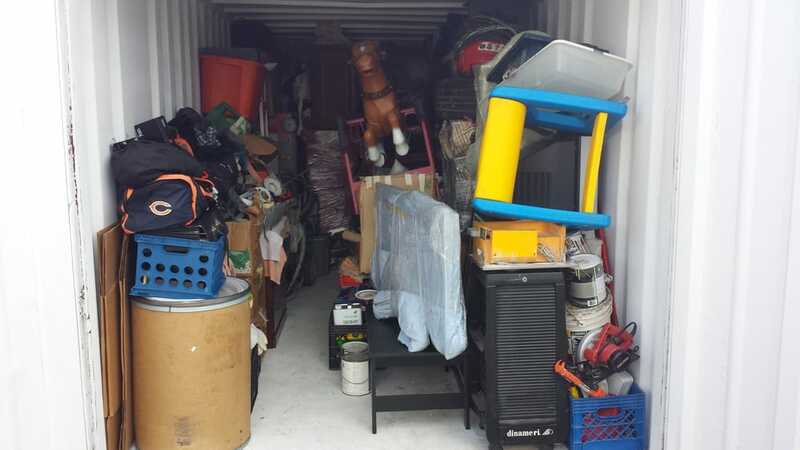 Johnny, Johnny and Paul arrived on time, loaded a 220 volt lathe, drill press, 3 bedroom cabinets, one larger cabinet, one two drawer file cabinet, a large paper shredder and numerous boxes in 1.5 hours. A short drive to storage and unload in an hour or so. Very happy with service and movers and Michael's Big Boys Moving.I'm thinking when all these things are moved out of storage there has to be an easier way to move a heavy lathe and drill press without all that energy used by these 3 movers.Thanks to all 3 and Big Boys Moving.